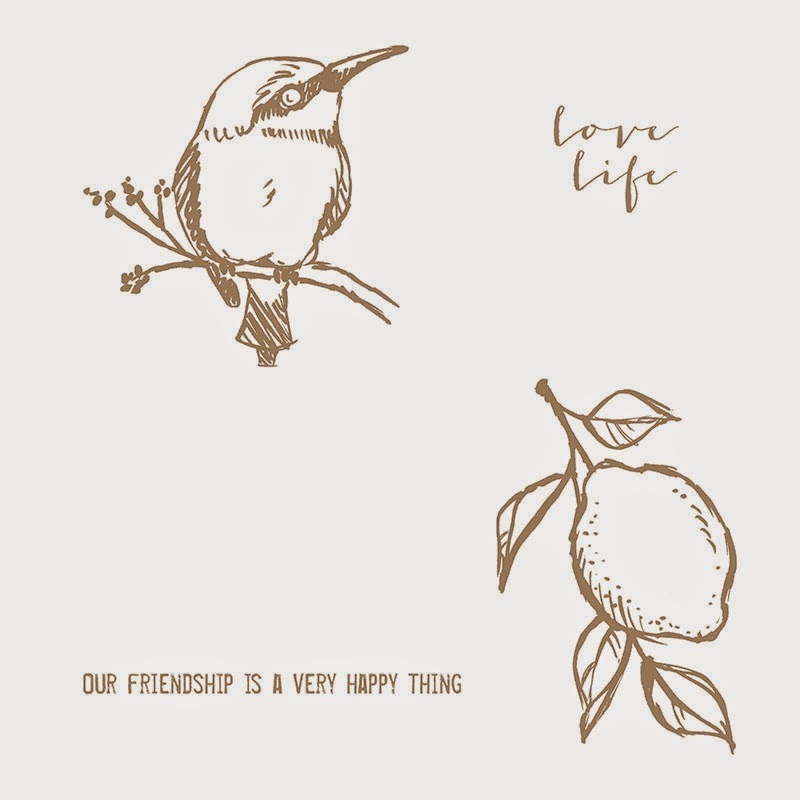 A Happy Thing, Sale-A-Bration, Stampin' Up! 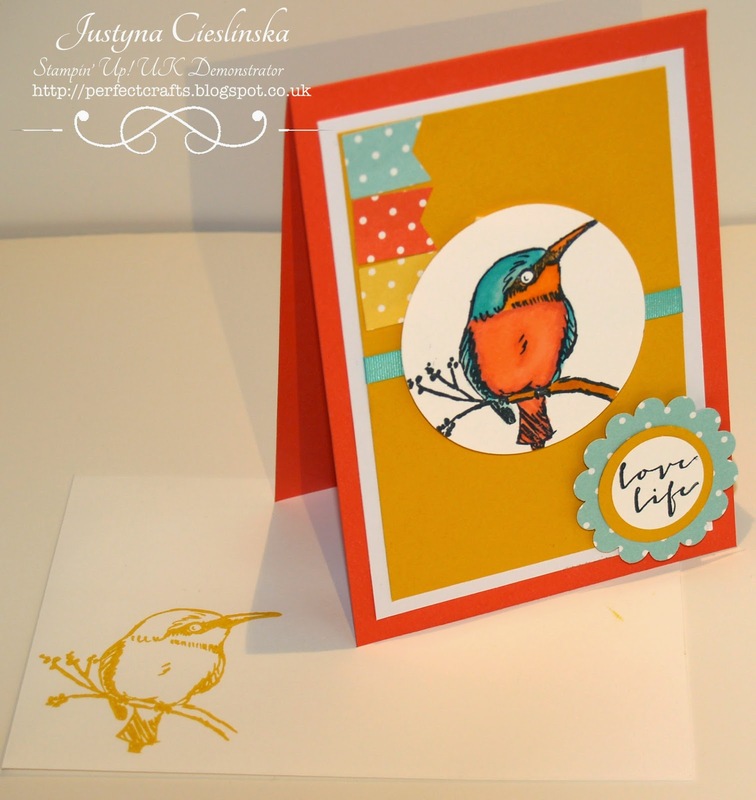 Here is a card I made using beautiful stamp set called “A Happy Thing”. Remember you can get this set FREE when you spend £45 (before shipping and tax) from any of our catalogues between 5 January 2015 and 31 March 2015. 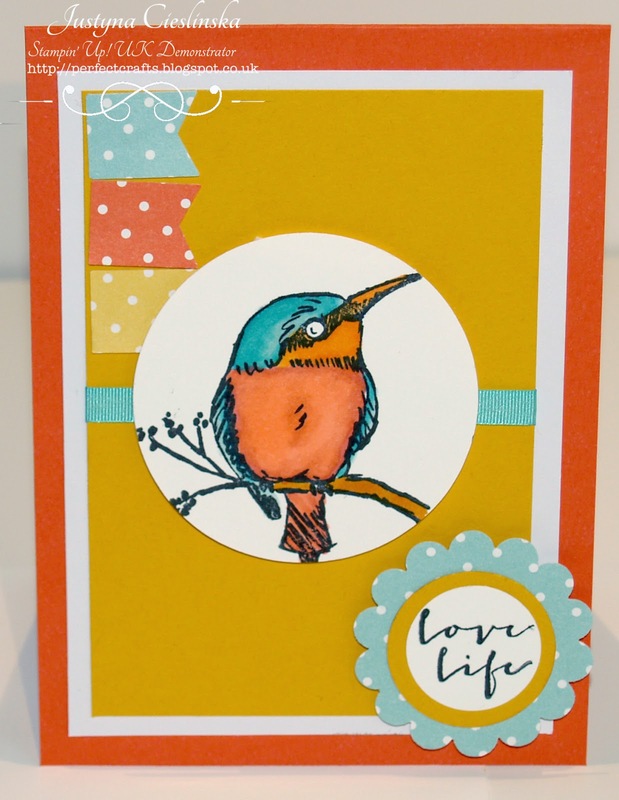 I coloured this lovely bird with Blendabilities – also FREE in Sale-A-Bration brochure.